SAN JOSE, CA – February 2, 2016 – Toshiba America Electronic Components, Inc., a committed technology leader, announces the availability of the new Trion 150 SSD series, an affordable performance upgrade for mainstream notebooks and desktops. Built with the Toshiba’s 15nm Triple-Level Cell (TLC) NAND flash technology from Toshiba, the Trion 150 series continues to deliver the superior balance of reliability, endurance and value of its predecessor, Trion 100, with increased real world performance. Offering an easy and affordable way for entry-level users to enhance their mobile or desktop systems, Trion 150 SSDs provide a superior computing experience, enabling increased multitasking and productivity over traditional hard drives. Rated for sequential read speeds up to 550MB/s, sequential write speeds up to 530MB/s and random write I/O performance up to 91,000 IOPS, the Trion 150 series help improve boot time, system responsiveness and optimize storage operations. Designed for value oriented mainstream consumers with varying storage needs, the Trion 150 will be available in capacities of 120GB, 240GB, 480GB, and 960GB. Additionally, Trion 150 SSDs provide ample endurance with up to 240TB total bytes written (TBW), providing peace of mind when using more write-intensive applications. 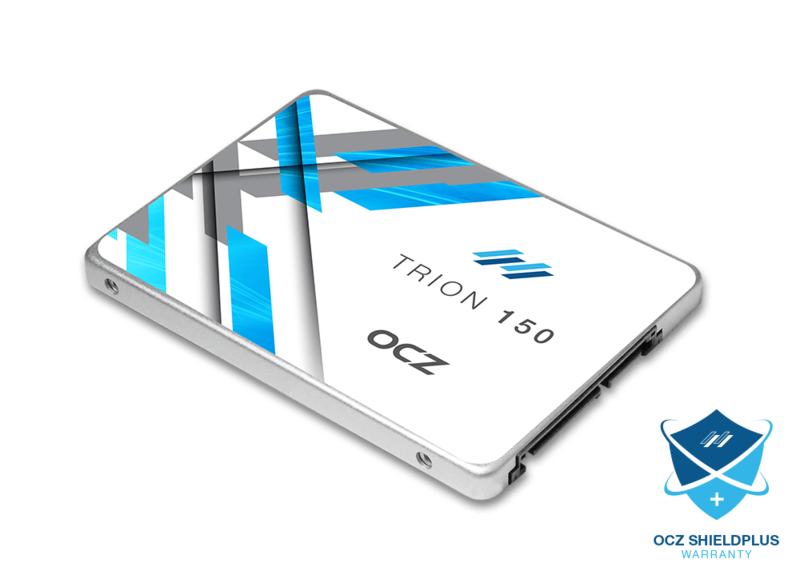 Stringent reliability and quality procedures are incorporated into every OCZ series drive; however, in the unlikely event that a drive needs to be replaced, Trion 150 is protected by OCZ’s ShieldPlus Warranty for 3 years. This industry-leading approach to service provides peace of mind with an elite, worry-free customer service experience which eliminates all the hassle and cost surrounding traditional support and warranty claims consumers often have to deal with. Previous : Need For Speed : Most Wanted Is Now Free!